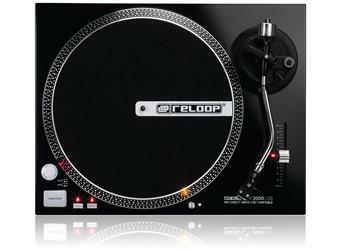 Reloop's active DJ monitor speakers "ADM-5" are the perfect addition to every DJ home studio. Whether in digital-mixing surroundings with a DVS or DJ controller or as compact speaker for the DJ setup at home - the ADM-5 are constructed in a space saving way and deliver a powerful sound. With a frequency response of 35 Hz - 20 kHz a respectable sound spectrum is reproduced and each bass and high peak is reflected accurately. Full 30 watt power generate a powerful sound, facilitating a sufficient sound emission for any private mix session. As opposed to many monitor speakers made of plastic, the resonance body of the ADM-5 are made of high-quality wood, thus making them substantially balanced - of course it is possible to adjust the low and high frequencies via separate controllers. Due to the magnetically shielded bass drivers it is also possible to place the speakers near computers or monitors. Moreover the convenient RCA input allows an effortless connection to a DJ soundcard or the Digital Jockey. The Jockey speaker!